After a long time, a lot of work and great expectations, we now have a date when our documentary will be released. A life story about an Addisonian guy and his experiences. Recorded in the magic environment and in the highest film quality. 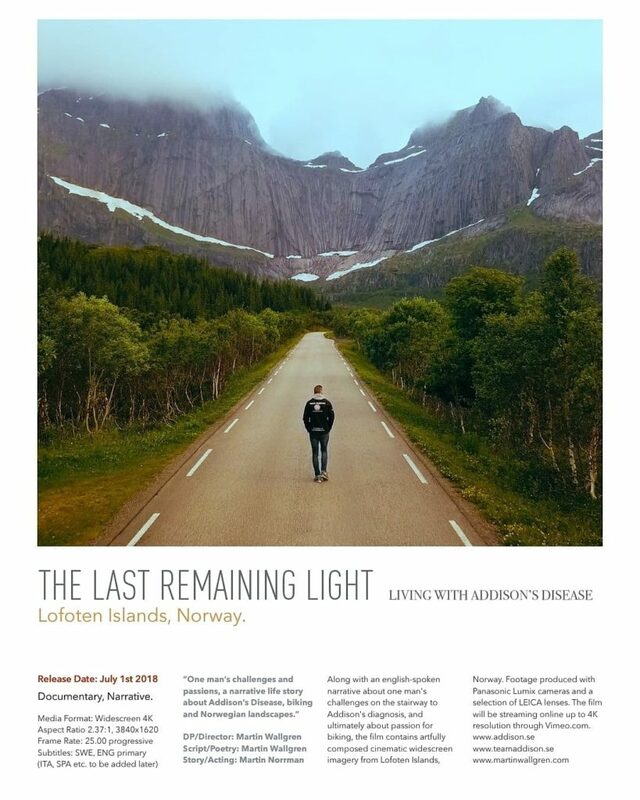 Our goal is to spread this documentary globally and make Addison’s disease known. If everyone help to share, we can reach far. We have made the movie for a reason, making Addison’s disease more famous globally. Be here July 1st at 18:00 cet.